The most transparent purchasing experience that I have had at a dealership. The service does not end once they have taken your money. Jillian would respond to emails outside of working hours. We traded a vehicle with lots of hail damage with them and they still manage to accommodate us. Jerry Beltran - the sales guy is very well and knowledgeable and friendly. He gave us all options and info on new cars. The finance team and the service team are very good as well. Kudos to Honda Okotoks team! I absolutely love my new Honda Pilot! Jillian was amazing to deal with as she was very prompt in responding and worked to get me a great deal! Rose was fabulous taking care of all the financials details to make it a smooth process! Thanks Okotoks Honda! So very helpful! Wanted to know what I was looking for in a new vehicle, what things were most important to me so they could help me figure out what vehicle in the Honda line would suit me best. I’ve never owned anything but domestic in my 40 years of driving. Jerry Beltran made sure I understood what Honda had to offer and did not rush me through any questions or concerns I had. He made sure I was comfortable with my choice and walked me through the vehicle when I picked it up so I understood it. Dry kind and patent and knowledgeable. Very much appreciated. Berton Field was also very helpful in the process. Thank you Okotoks Honda! I will recommend you and Jerry in particular to all my friends and family. Jillian was an awesome sales member! She looked out for me and what I was looking for. Thanks again Jillian! Such a great experience buying my Type R from Marvin at Okotoks Honda. Friendly, professional staff, and a great process from start to finish. Couldn't imagine buying a vehicle from anyone else!! Very helpful people. Thank you Okotoks Honda and Ruslan Keiko! Jerry Beltran at Okotoks Honda recently helped us purchase a 2013 Honda Pilot. Jerry was fantastic to work with and took the time to understand our needs while working tirelessly to meet them. The entire team at Okotoks Honda was wonderful, and we will likely be back there down the road for our next vehicle. My experience at Okotoks Honda was nothing short of spectacular. It was so easy and painless that I would highly recommend Okotoks Honda to any of my friends. Jillian was super knowledgeable and friendly and overall made this a successful vehicle shopping experience! I’m super happy with my purchase. Thanks Jillian, Corine, and Okotoks Honda! Jillian was so great in helping buy my first car. She worked with me to ensure I found a vehicle that suited my needs and stayed within my price range. Rose in the finance department was so helpful as well. From start to finish the process at Okotoks Honda was easy and efficient. I would definitely recommend this dealership for purchasing a vehicle! Jacquie and Marvin were extremely helpful and made the entire process transparent, simple and enjoyable. Will definitely recommend to others. Buying my used car from Okotoks Honda turned out to be the best car buying experience that I've had. The cars on the lot are displayed showing all the important information, so it was easy to narrow the choices down to the ones I was interested in and were for the amount that fit my budget. Inside the dealership everyone was friendly and professional. I was introduced to salesperson Marvin Ogayon who gave me all the information about the car I was interested in. He answered all of my questions and was respectful and I felt zero pressure. He told me he was there to work for me and to help me find my next car and he came through with flying colours. On the test drive he explained all the options of the car to me and gave me ample opportunity to really determine if the car was for me. Marvin is the car salesman we all hope to get. Once I decided on the car I wanted, I was introduced to Corine Vanstone who walked me thru all the paperwork and money matters. She is great at what she does and she does it with a pleasant, funny and kind manner. When I picked up my car everything was explained to me about car options, warranty and future service. 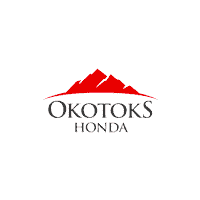 Driving away I truly felt I made the best decision in buying my vehicle from Okotoks Honda. Highly recommend Jillian and everyone at Okotoks Honda. Excellent experience. Fantastic service and friendly people! I bought a 2019 Odyssey from Jerry today so as one of my friends. The shopping experience was great and Jerry has been very friendly and helpful. Will refer friends to Jerry in the future as I know they will be taken care of. A HUGE shoutout to Jillian and Corine at Okotoks Honda for getting me an incredible deal and superior customer service I had a terrific experience throughout all of it!!! Jillian was invaluable in assisting both me and my girlfriend into a brand new CRV ( one for each of us). She was very professional and patient with us. Corrine was very good at securing a deal that worked for both of us as well. We couldn’t be happier ! Thanks Jillian and Corrine. Great experience with Jillian from the initial contact, choosing the vehicle, through the leasing details and since delivery of the vehicle! Being a long time Honda driver, I decided to graduate from being behind the wheels of a Civic to a CRV. Marvin has nothing been helpful, knowledgeable and professional. Not only did he assist me the car of my choice, but he made sure that I got the best deal as well. I recommend not only this dealership but also Marvin for the best car purchase experience.